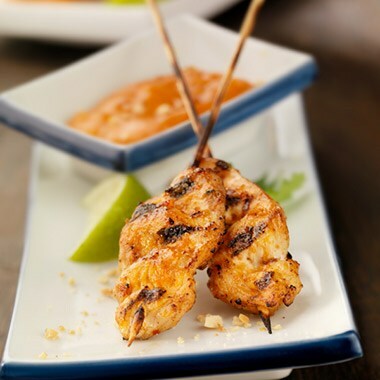 This rich sauce has a bold, distinctive flavor that will remind you of your favorite Thai restaurant and have you coming back for more! In medium saucepan whisk all ingredients together. Heat to a slight boil, reduce heat and simmer for 10 minutes or until sauce thickens. Serve with thinly sliced broiled or barbequed skewered chicken breast, beef, or tofu.